I did something different on Friday night. I attended a group talk! My good friend, Michelle, told me about this event about Zen Buddhism which was called “New Minds Night.” It was organized by a guy she knows from a weekly group she attends and really enjoys. She told me it would be an intimate gathering at an adorable vintage café in Lincoln Park called Bourgeois Pig. I wasn’t sure about attending at first. Buddhism? I enjoy learning about mindfulness and spirituality but the term just sounds so official. I was raised Roman Catholic but I see myself as more spiritual than religious (although I do love my Polish traditions, all rooted from Catholicism). After some discussion and reassurance that this will not be a cult meeting where they try to convert me into a Buddhist, I agreed. How was the group talk? I thought it was amazing. 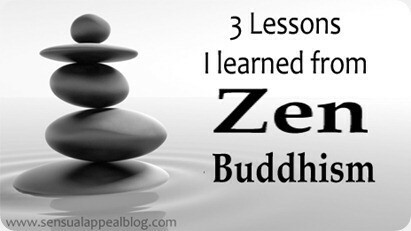 There are several things I realized and noticed that I haven’t thought of before, related to Zen and not. But before I get into it, I wanted to recommend everyone to seek out events and meetups like these – they are so fulfilling and they really get your mind stirred and thinking. It made me feel like I was in Philosophy class all over again, except everyone there was willing to listen, discuss, and learn. It was a ever-flowing conversation between 13 people. One person was leading the conversation but everyone was eager to learn about Zen and push our minds to think philosophically and realistically about it. 1. We don’t have meaningful conversations. But we don’t really have many intellectual conversations anymore. Oh and by the way, when I say we, I don’t mean everyone. You might be the deepest thinker alive, I wouldn’t know – but if you are, good for you! I applaud you for exercising your mind. If you are, then this point clearly does not apply to you and you can move on to point 2 and 3. Anyway, we stopped thinking about more meaningful things; we stopped having those intense passionate conversations about life, what is means, and why we do the things we do. As a Psychology student, I was always curious about people and their thoughts and actions. I forgot, however, that Philosophy is just as important in self-growth. Philosophy makes life so much more fulfilling – not only does it make your mind feel like it’s doing the work it was meant to be doing – thinking, but it also allows you to free yourself of the daily irrelevant talk and complaints, by connecting with your inner being, your purpose, and reality. 2. We don’t connect with people as much. I almost feel guilty saying this since I work in social media marketing but social networking really has hindered our ability to truly connect with other people. While I love social media (clearly) and I find it a wonderful way for brands to connect with consumers and for people to stay updated with acquaintances and family, social networking also inhibited our innate needs for human contact. I’m sure you remember the good old days where there was no Internet and you could only rely on your house phone to contact someone (if you even had one of those). To see a friend or family member, you actually had to make an effort to see them. You had to get out of your house, go over to theirs, knock on the door, and say hello – in real life. Face to face. Real human interaction. Many of us, especially my generation and the generations going forward, are starting to forget the importance of real human interaction. Social networking has become an irony because it has made us less social than ever before. We hide behind our computers and smartphones and rely on technology to talk with people instead of making an effort to be truly social. As much as I love technology, it should not control our lives. Can you live without your phone? Without Facebook? Email? Most will say no. Heck, I’ll say Absolutely NOT! We are attached. The convenience of technology has made us reliant on this luxury but has also absorbed us and is slowly taking some of our human needs away from us. We must remember to stay social. To meet in person. To discuss things. Real life. That’s where life happens! In real life! 3. Living in the present is a miracle. Now finally a lesson I learned directly from the discussion we had. I won’t get into the nitty gritty of the discussion but the core lesson is this – we must learn to live in the moment. If we don’t, we will eventually burn ourselves out and lead our life into deeper shadows of exhaustion and superficiality. We live in a society which glamorizes always being on-the-go. We have food to-go, drinks to-go, smartphones which allows us to get our news, email, reading, and “social needs” all taken care of in one place. We often forget to relax. We often forget to appreciate the moment. We are always on the go; always on the run, but we never really arrive. Once you have completed one thing on your to-do list, there comes another, and another, and another. Does it ever end? When does madness begin and where does it end? I’m not saying we should abandon our responsibilities. Absolutely not. I have no intention of being a homeless person so I must have certain things that I need getting done. Having to-do lists is helpful and can definitely maximize efficiency. The point is, we must also remember to take a breath and relax. We must notice the moment. Take a breath. Be present. Meditate. Be intuitive. Oh don’t worry Syl, I am in the boat. Especially this semester (my last one in college) and it has been extremely hectic. The thing is I actually enjoy being busy so it is extra hard to take the time to relax. I’ve been telling myself to start meditating for months now and still have no gotten around to actually doing it. I’m disappointed to admit, but after this meet I realized the importance in it and hopefully it will help me by pushing me to actually take the time for myself. We need it. Thanks for reading, love! The first two of these really resonate with me. I had a pretty crummy first two years of college because both of those were definitely missing from my life, but I became a lot more intentional about incorporating them during my junior and senior years. I have one friend in particular that I can almost always count on for good, solid conversation when the two of us meet up (which is difficult nowadays, since I’m in Chicago and my friend’s in North Carolina). It’s incredible how much of a difference being with someone and having a real, authentic discussion with them makes in building a relationship (not necessarily a romantic relationship…I mean relationship more as a contrast to a fluffy, surface friendship that doesn’t have much/any substance). How great of you to take a chance and experience something new..and for sharing it with all of us! thank you so much for sharing this! i can relate to so much. 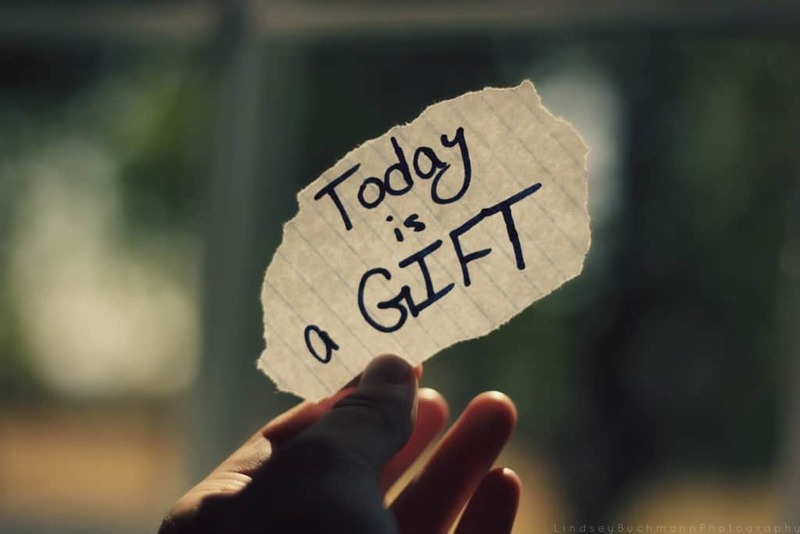 “today is a gift, that is why we call it the present” is actually vynal on my wall! It’s a wonderful quote! Thank you for reading and for hosting the lovely linky party! I’m glad I found it! These are some beautiful lessons. Sometimes attending something like this can be so transformative. Sounds like it was a great class! I totally agree that we don’t really have meaningful conversations.